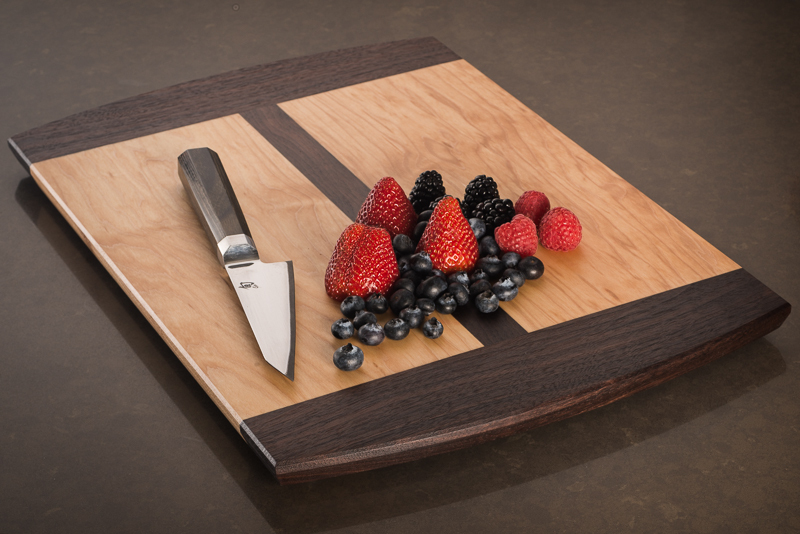 walnut, maple, and cherry veneer make up this café wall illusion cutting board. 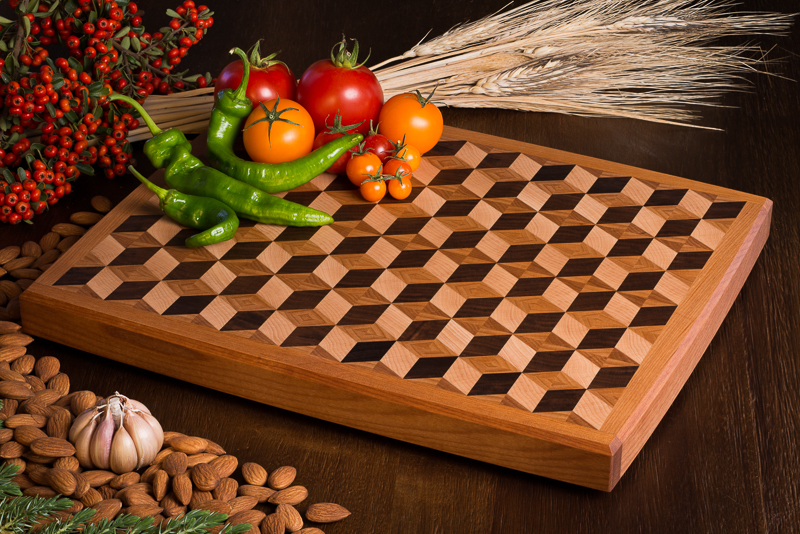 special thanks for mtmwood for technical instructions on accomplishing this design. special thanks to ponto woodworking for helping with the execution. 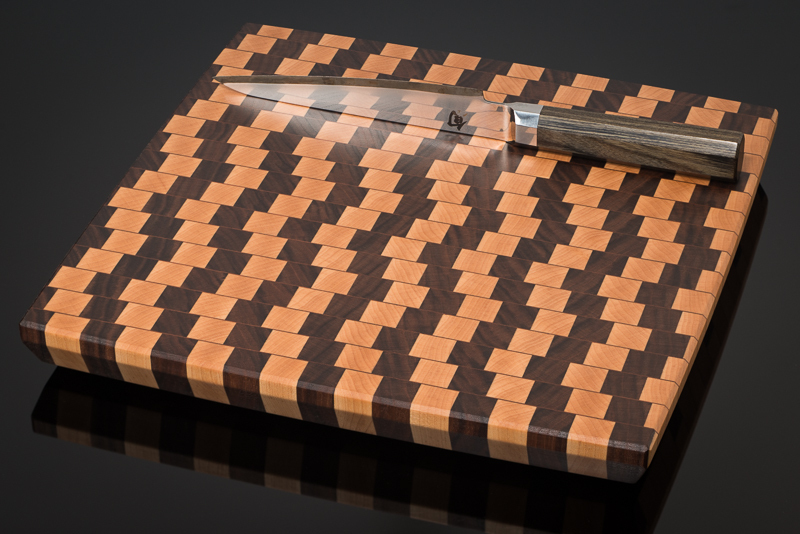 maple and walnut cutting board.